USGA Northeast Regional Report For March! The early spring weather is being welcomed by golfers who are taking advantage of the courses that have opened early throughout the Northeast Region. The early start to the season has allowed many superintendents to complete post-winter course cleanup ahead of schedule. However, most facilities are not fully staffed, so getting course conditions to a level that meets peak-season expectations will be very challenging. 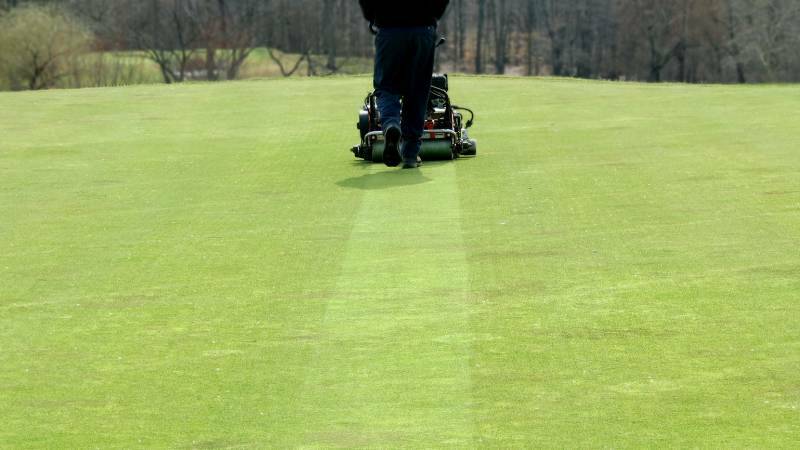 The season is roughly three weeks ahead of schedule and, as a result, many superintendents are a few weeks away from having their full seasonal staffs. Remember, bringing staff back earlier than anticipated will have significant budgetary impacts. Even with ample staff, opening putting greens to early spring play is a tough decision. A significant amount of play on putting greens that are not actively growing, or not growing fast enough to recover from wear, may lead to thin turf and bumpy surfaces. Do not hesitate to keep putting greens closed if they are not growing enough to handle traffic. Several golf course maintenance practices may need to be examined and adjusted because of the early start to the season. Poa Annua seed-head suppression and weed/pest-control programs may need to be initiated earlier than anticipated if the warm spring weather persists. This may result in a more applications than originally budgeted. The early start to the golf season may stimulate revenue but it is crucial to acknowledge that staffing and/or potential budget restrictions might limit course conditions at your facility. Golfers should enjoy the early season but must be patient with course conditions. Remember, it is only March.